August 22, 2012 – London, UK – Renowned UK composer Marvin Ayres is now offering his talents to music artists worldwide! Musicians everywhere can have their own bespoke string orchestra/quartet/trio/solos played, arranged, scored and produced in one studio, which can fit beautifully into songs and projects. Once provided with the material Marvin creates exciting and versatile string arrangements with real acoustic instruments – an innovative concept in this day of synthetic strings and orchestras! 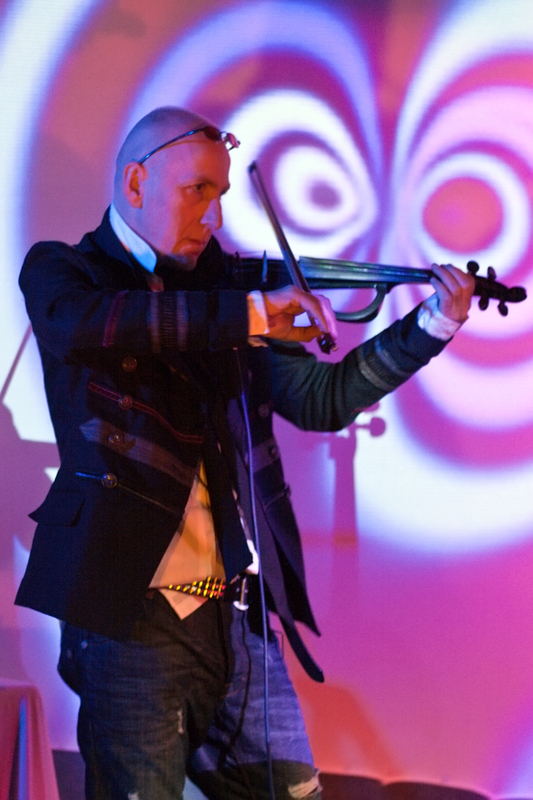 As well as his own orchestral compositions, Marvin Ayres has had strings used on many professional releases including: BBC, Channel 4, Disney, David Bowie, Basement Jaxx, B.E.F, Artful Dodger, Culture Club, TerraNivium, Heaven 17, Frankie Goes To Hollywood, Adam Ant, Stewart Copeland, Boy George and Kate Jackson. Straddling the worlds of commercial and classical music, as composer/producer Marvin Ayres has developed a distinctive and innovative style by subjecting his instruments to electronic treatments, thereby pioneering an approach described as “Ambient Orchestral Minimalism”. Operating somewhere between the spiritual serenity of Gorecki and Part and the electronic adventures of Brian Eno and Aphex Twin, his key features are layers of organic strings filtered through atmospheric distortions and effects, sounding at once both familiar and utterly new. A founding member of The Government, Ayres also made solo contributions to bands and artists throughout the late 1980s and 1990s, notably, Culture Club, Simply Red and Frankie Goes to Hollywood. In 1999 he was signed to the avant-garde label Mille Plateaux as composer/producer and released two ambient albums, Neptune and Cellosphere, to critical acclaim. Excerpts of these works have been performed live in an array of forums such as: London’s ‘Festival of Electronica'(with Groove Armada’s Patrick Dawes), and the inter-media cutting edge event ‘Sprawl’. His reputation as producer and performer came to the attention of Jaki Liebezeit (formerly of Can), who invited him to re-mix tracks and tour withLiebezeit’s band Club Off Chaos in early 2001. Ayres was commissioned by Einsturzende Neubauten’s electronica music publishers Freibank, and his compositions have featured on five ‘For Films’ albums. In addition to his work with musicians, Ayres also collaborates with visual artists on audio-visual installations, which have been exhibited in major galleries and art houses in Europe and the U.S. In 2000, the prestigious ICA (Institute of Contemporary Arts) in London commissioned him to compose and produce their first ever DVD exhibition. The two works resulting from this were Sensory and Cycle, incorporating spatial soundscapes and psycho acoustics and were composed specifically for 5.1 Surround Sound. Marvin Ayres’ collaborative film Scape is to this day a permanent fixture on exhibition at The Tate Modern. His ongoing project with Sonja Kristina (from rock legends Curved Air) is called MASK and their 2006 hit single ‘Waking The Dream’ came from their debut dual-disc album Heavy Petal. Their second album, Technopia was released on Repertoire Records in 2010 . Ayres has recently collaborated with Martyn Ware (Heaven 17) on his B.E.F (British Electronic Foundation) project ‘Dark’, creating and performing atmospheric and emotive string orchestrations and arrangements of classic songs performed by major artists. As well as productions for other artists, the W.O.W studio is a mastering facility and recently remastered the legendary John Peel Sessions for Curved Air ‘Airwaves – Live At The BBC’ album. This year also sees the official release for Marvin Ayres new 120 piece orchestral composition/recording ‘The Harmogram Suite’ as a stereo CD and 5.1 surround sound DVD.